In a recent post, I discussed the criminal penalties for violations of the registration requirements in section 262 of the Immigration and Nationality Act (INA), which are set forth in 266(a) of the Immigration and Nationality Act (INA). I described that latter provision as a "forgotten immigration crime". A review of the INA reveals yet another underutilized criminal offense, this one in subsection 266(b) of the INA for failing to file a notice of a change of address under section 265 of the INA. This criminal offense would apply both to aliens who have entered illegally and those who have overstayed their nonimmigrant visas. Each alien required to be registered under this title who is within the United States shall notify the Attorney General in writing of each change of address and new address within ten days from the date of such change and furnish with such notice such additional information as the Attorney General may require by regulation. The parents or guardians of aliens who are under the age of 14 are responsible for filing changes of address for those minors. An alien notifies the government of a change in address by filing a Form AR-11 with U.S. Citizenship and Immigration Services (USCIS) within 10 days of a move within the United States or its territories. In its original iteration in the INA in 1952, section 265(a) required every covered alien to update his or her current address annually (except for nonimmigrants, who were required to update their addresses every three months), as well as within 10 days of a change in address. That provision was amended to its current form by section 11 of Public Law 97-116, the Act of December 29, 1981, and has remained unchanged ever since. Section 266(b) of the INA imposes criminal penalties on aliens who fail to file such changes of address. Specifically, violations of those requirements subject the offender to a $200 fine or imprisonment for not more than 30 days, or both. Thus, the crime in question is a Class B misdemeanor under 18 U.S.C. § 3559(a)(7). Immigrants and nonimmigrants are each required to be registered under section 221(b) of the INA, which exempts certain diplomats and representatives of foreign governments or international organizations and their families. As I explained in my last post, registration requirements for most other aliens (other than aliens who were required to register under the now-superseded sections 30 and 31 of the Alien Registration Act of 1940), are set forth in section 262(a) of the INA. Except for those exempted by section 263(b) of the Act, all aliens in the United States required to register under section 262 of the Act must report each change of address and new address within 10 days of such change in accordance with instructions provided by [U.S. Citizenship and Immigration Services (USCIS)]. The referenced exception again relates to diplomats and representatives of foreign governments. According to USCIS, the change of address requirement is also inapplicable to "[c]ertain nonimmigrants who do not possess a visa and who are in the U.S. for less than 30 days." A 2017 report from the Center for Migration Studies (CMS) found "that two-thirds of those who arrived in 2014 did not illegally cross a border, but were admitted (after screening) on non-immigrant (temporary) visas, and then overstayed their period of admission or otherwise violated the terms of their visas." This trend, it claimed, would "likely continue into the foreseeable future." As USCIS explains, the Department of Homeland Security (DHS) issues a Form I-94 to aliens admitted to the United States. Among the information included in the Form I-94 for nonimmigrants is the alien's address in the United States. For students, that is generally a university address, and for tourists, the address of a hotel or relative. Logically, nonimmigrants who have overstayed their visas move away from their declared destinations in the United States. It is highly doubtful that, having overstayed their visas, the vast majority of those nonimmigrants are filing change of address forms as they move within the United States. Nor is there an exception to the change of address requirement for aliens who entered illegally. Under the black-letter law of the statute, they too must file a change of address within 10 days of such change, but it is doubtful that many, if any, aliens who entered illegally and evaded apprehension have done so. There are few court decisions interpreting this provision, either in its original form or as amended in 1981. In U.S. v. Ginn, 124 F. Supp. 658, 661 (E.D. Pa. 1954), reversed on other grounds, 222 F.2d 289 (3d Cir. 1955), however, the U.S. District Court for the Eastern District of Pennsylvania held that under the pre-1952 version of section 265 of the INA, intent was not an element of the offense. Any alien required to be registered under this title who is an alien resident of the United States on January 1, 1951, and on January 1 of any succeeding year, shall, within ten days following such dates, notify the Commissioner in writing of his current address. The proscribed omission is malum prohibitum and bare proof that said omission occurred brings into existence criminal liability under the sanctions set out in the statute. ... If this were not patent under the 1940 Act, as amended, it is made perfectly plain in the successor section in the 1952 Act [section 265 (1952)] wherein simple failure to notify calls for criminal penalties but willful or not reasonably excusable failure to notify may result in deportation. Thus, there is an exception to removability under section 266(b) of the INA for an alien who shows that a failure to provide a change of address under section 265 of the INA "was reasonably excusable or was not willful", but there is no similar exception in the criminal provisions thereunder. The biggest hindrance to such a prosecution may be a lack of evidence. For example, in a November 2002 report conducted in the wake of the September 11, 2001, attacks, the Government Accountability Office (GAO) determined that the alien address information that had been compiled by the then-Immigration and Naturalization Service (INS) "could not be fully relied on to locate many aliens who were of interest to the United States." [T]he Department of Justice sought to locate and interview 4,112 aliens who were believed to be in the country and who might have knowledge that would assist the nation in its anti-terrorism efforts. However ... almost half of these aliens could not be located and interviewed because INS lacked reliable address information. 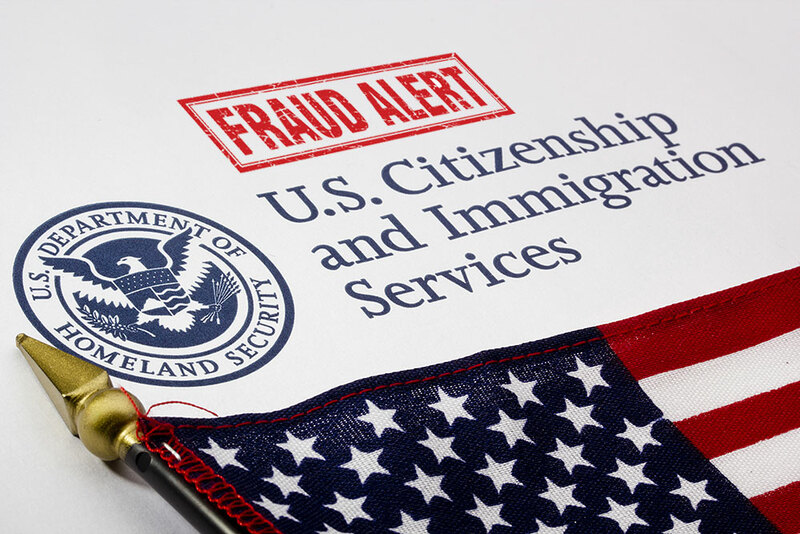 According to INS officials, INS is not in a position to place aliens in removal proceedings for failing to file a change of address notification because their address records are not maintained in a manner that will permit INS to certify that an alien has not complied with the law. In April 2002, INS established an Address Issues Task Force to review and assess how alien address information is processed. The task force identified numerous issues regarding the capture, processing, and recording of aliens' addresses. In May 2002, the task force prepared a White Paper that developed a concept of operations for handling address information and recommended a multi-phased strategy to improve operational efficiency. INS's concept of operations includes capturing and electronically storing alien address information in a timely manner, providing access to appropriate personnel through a single facility that provides easy sharing and updating of address information, and providing clear direction to aliens concerning their responsibility to provide current address information. To implement this concept of operations, the task force recommended a short-, medium-, and long-term strategy including the designation of a lead agency official for address issues, a reduction in the number of change of address forms, making the updating of address information a priority, issuing a request for information to identify best practices, developing a single centralized address repository, and developing compliance policies to monitor the process. As of September 11, 2002, INS had accepted the task force's recommendations. Although the 2017 report from the USCIS ombudsman identifies issues related to the processing of applications for immigration benefits from applicants who have filed changes of address, there is nothing in that report that would suggest the changes of address filed by aliens within the United States are not properly processed and entered into government databases today. Therefore, the ability of the Department of Homeland Security (DHS) to seek criminal charges under section 266(b) of the INA against aliens who fail to comply with the change of address requirements in section 265(a) of the INA is only limited by the capability of DHS to establish that those aliens have failed to comply with the change of address requirements. DHS should undertake an assessment of the effectiveness of its change of address processing capabilities. Assuming that the department concludes that its databases validly reflect the submission of changes of address by aliens in the United States, the department should seek criminal charges against aliens who have failed to file changes of address in accordance with law. In connection with that effort, DHS may also consider launching a nationwide campaign to advise all aliens of their responsibilities under section 265(a) of the INA. Ensuring compliance with the immigration laws requires the executive branch to use all of the tools at its disposal to induce aliens to follow the law. Enforcement of the criminal penalties in section 266 of the INA should be the first step in that effort. In its 2002 report, GAO noted that among the constraints identified by the Department of Justice (DOJ) in implementing the office's recommendations therein was "the likelihood that revising internal operating instructions will not result in additional criminal prosecutions for failing to file a change of address notice because U.S. attorneys generally decline to prosecute minor offenses." The attorney general's April 6, 2018, announcement of "zero tolerance" for illegal entry prosecutions suggests that DOJ's policies for prosecuting "minor offenses" relating to immigration have changed under the Trump administration. The attorney general should announce zero tolerance for violations punishable under section 266 of the INA, as well.